Over the last few years, beverages have evolved greatly, and focus on the importance of adding that "Wow" factor. One way of doing so has been shown by adding a floral aroma, flavor, or garnish to the libation. 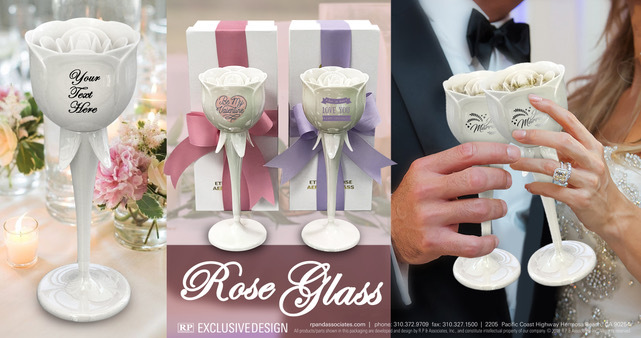 Now, you can capture the live essence of a rose, through our new Everlasting Rose Glass, that not only embodies the real shape of a rose modified into a drinking vessel, but has petals inside which heighten the other senses of the drink, engaging your customer that much more. A rose is the ultimate gift, especially one that can last forever.